Home >> Events >> Specials >> Beer >> Treacherry (New Beer) Release! 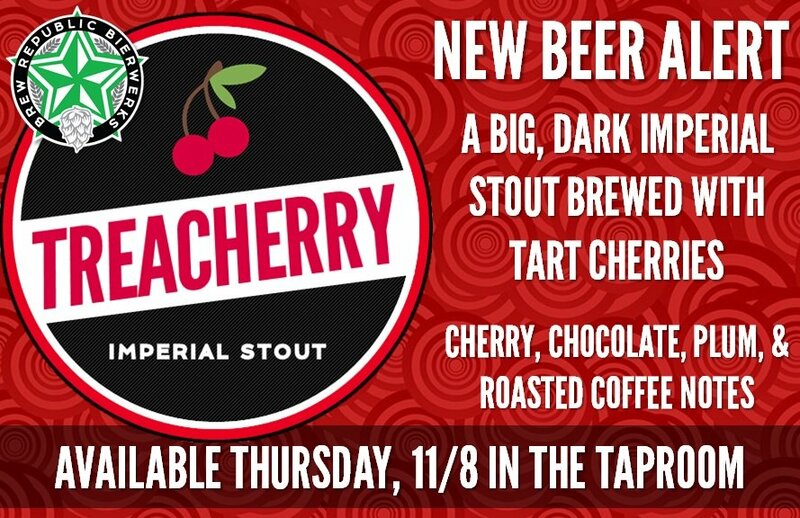 We’ve got another new one for you in the taproom: Treacherry Imperial Stout. This big, bold, beautiful stout was brewed with tart cherries from Oregon and packs a punch of chocolate, plum, roasted coffee, and of course, cherry goodness… it’s liquid desert in a glass! Plus, join us for our regular Thursday programming for awesome specials, football, and beer!